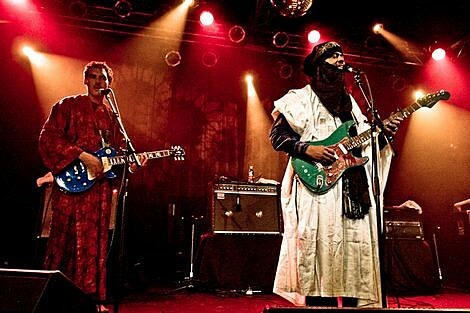 As previously announced, Tinariwen are set to unveil their new LP Tassili on August 30th via Anti- Records. This morning we posted an updated list of fall tour dates, which includes a November 25th performance at Metro with Sophie Hunger. Tickets go on sale this Saturday (8/27), at noon CST. You can visit NPR to stream Tassili in its entirety, up until it hits stores. The album features artistic contributions from Nels Cline, TV on the Radio, and The Dirty Dozen Brass Band.